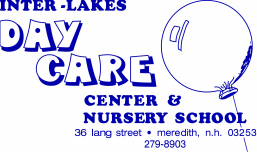 Inter-Lakes Day Care Center has been providing high quality early learning for families of the Lakes Region since 1971. When choosing a child care provider there are many elements that are important to you. Inter-Lakes Day Care Center has caring, competent, and educated teachers who become partners in the care of your child. Our center is a home-like environment that provides the flexibility you need as a busy parent while providing consistency and structure for your child. I-LDCC provides professional staff, familiar faces every day, hours to fit your work schedule, and care you can count on from infancy through elementary school -- call or email today to schedule a visit! AmazonSmile is a simple and automatic way for you to support I-LDCC every time you shop, at no cost to you. Go to smile.amazon.com when you shop and .5% of your purchase will go to us! Go to AmazonSmile in support of I-LDCC. 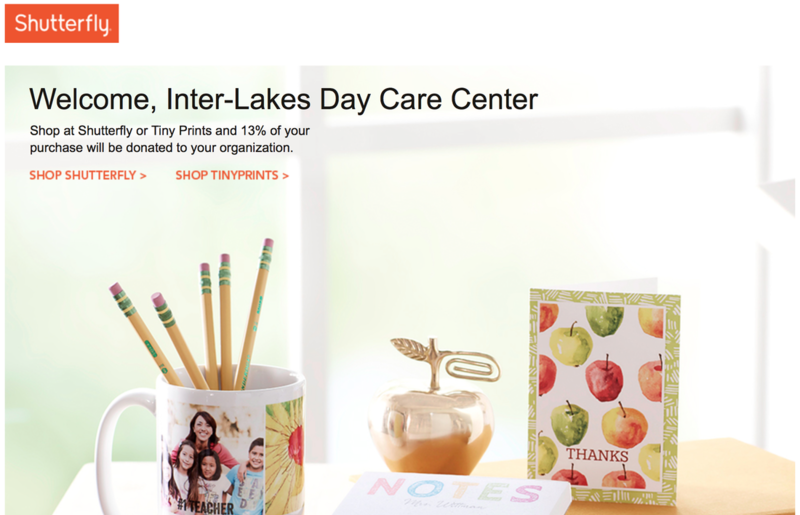 Shop at Shutterfly or TinyPrints for custom photo books, cards, photo prints, home decor, gifts and more using our storefront link and Shutterfly will donate 13% of your purchase price to I-LDCC! ​Easy for you, fundraising for us!